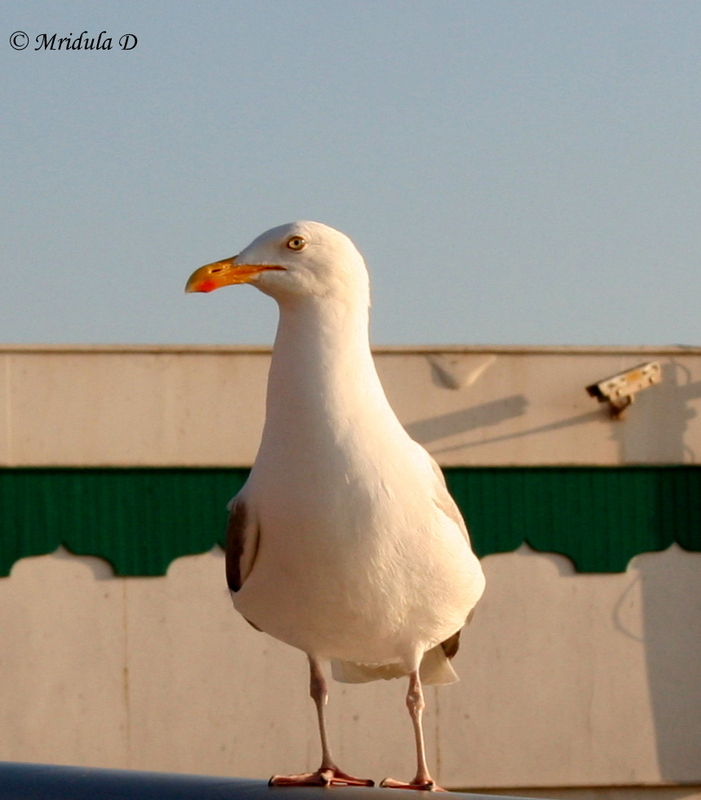 I has some luck with Seagulls at Morecambe and then at Blackpool. The birds seem to be quite used to the people around them and getting crumbs of food as well. I was not complaining as I was getting some practice with the camera. I can hardly believe it that I clicked this picture with my point and shoot Samsung camera. 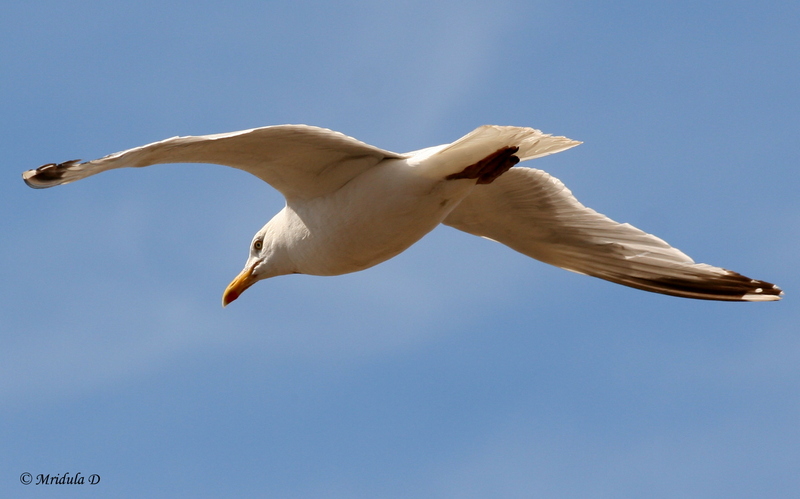 When I started walking past this point I first thought that this was a stone seagull and not a real one! But another glance told me that was not the case. I was so tired by that time that I had packed the SLR in my backpack telling myself that I was done with taking pictures. I am glad that I managed this with the point and shoot which was lying in my coat pocket. Oh and that zoom lens died on me again on this trip, so I have to buy a new one. 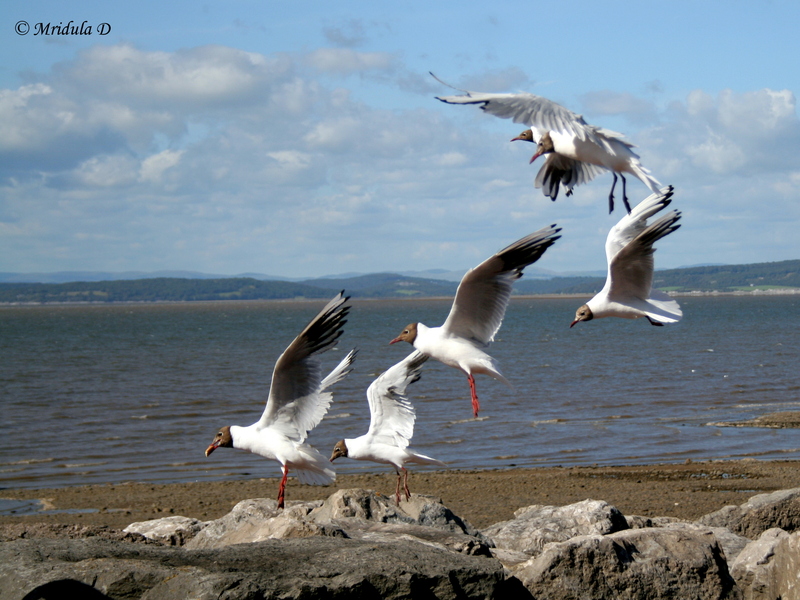 There are so many Seagulls at Morecambe. And they are used to people, particularly near the food shops. I was compressing the pictures as usual but the sharpness was vanishing as well. So I decided to make an exception and post at high resolution. 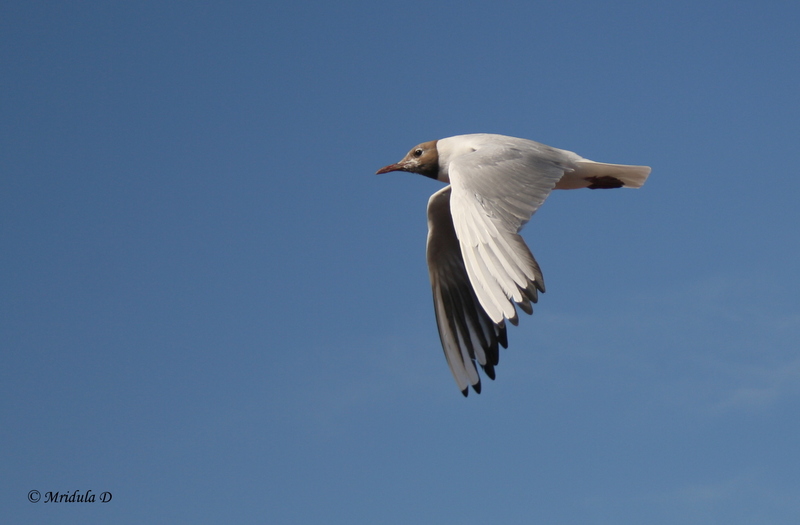 After all I enjoyed clicking these seagulls so much. And then there was this group descending in a formation on some food crumbs lying on the ground. 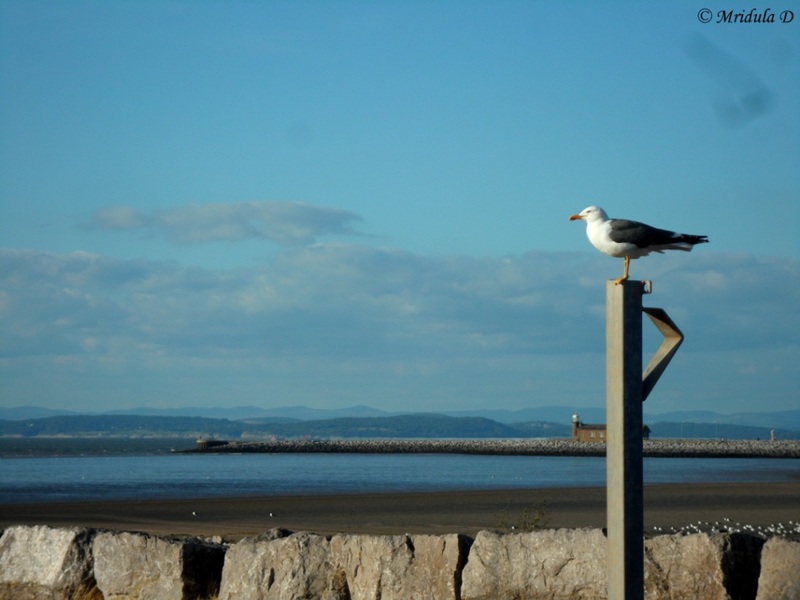 I am waiting to go back to Morecambe during the week to click the sunset.